Who else has a cave in the middle of downtown? 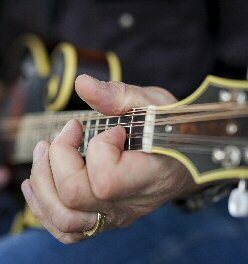 Bluegrass and blues? Yes, please! It’s not all about underground! 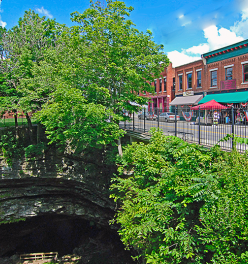 Plan great Kentucky getaways to Hart County in scenic south-central Kentucky, located on I-65 midway between Louisville and Nashville in the Kentucky caves and caverns area along the edge of Mammoth Cave National Park, an International Biosphere and World Heritage Site. 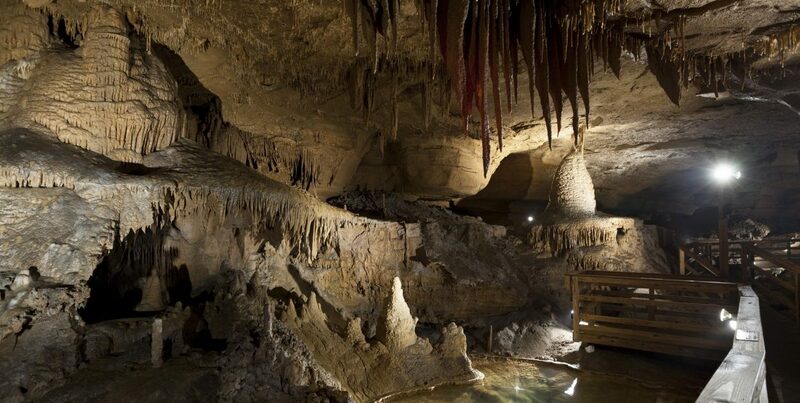 Hart County has two “show caves”: Hidden River Cave and Mammoth Onyx Cave . 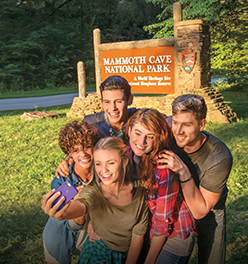 Zipline along the treetop canopy at the edge of Mammoth Cave National Park or zip and rappel across the area’s largest cave entrance at Hidden River Cave. Explore our above ground and below ground trails. Try our hand-made pizzas and home cooking, or pick up a taste of Kentucky at our roadside market. 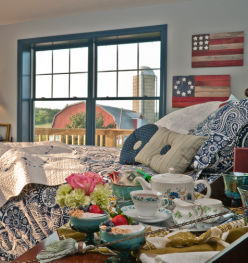 Come see what makes Hart County one of the best Kentucky getaways you’ll ever experience!